Copper team are back with their epicurean delight under the moon at its brightest. Hand-select some of the best nation's food traditions, five will be beautifully served to your tables on Saturday, March 31, 2018 at 6pm. 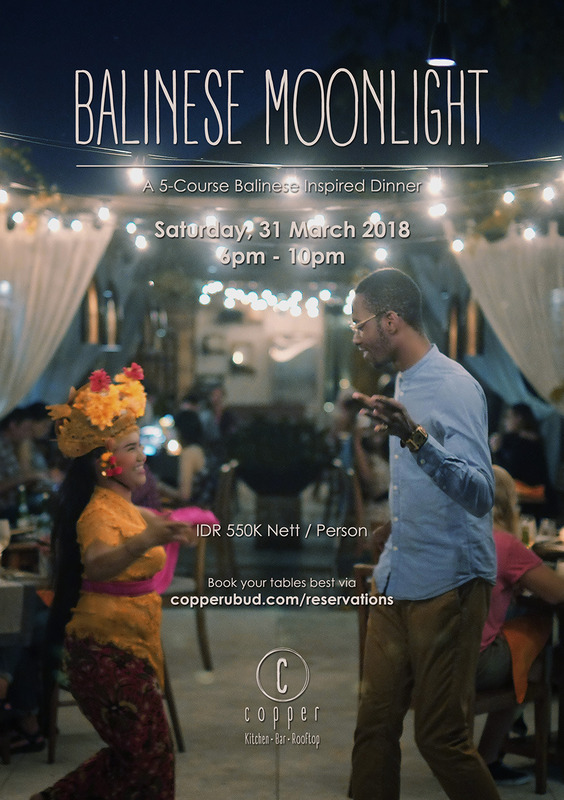 Engage in the performance with our team in a traditional dance, a chance to truly immerse in the Balinese arts and culture.